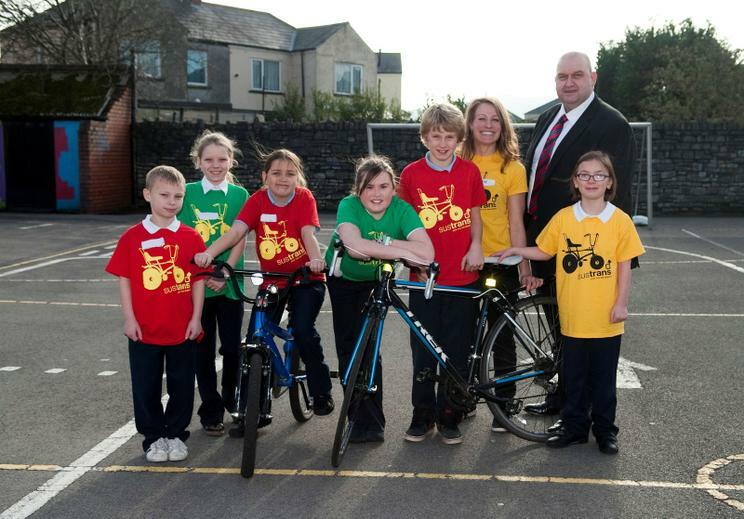 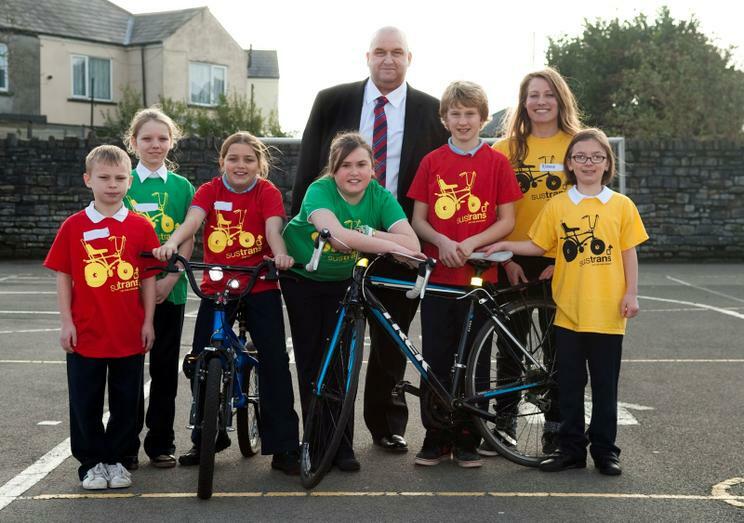 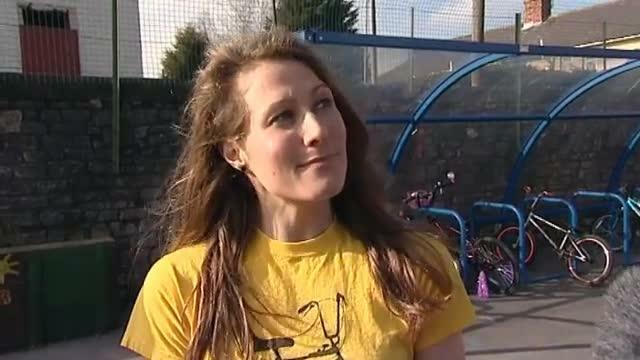 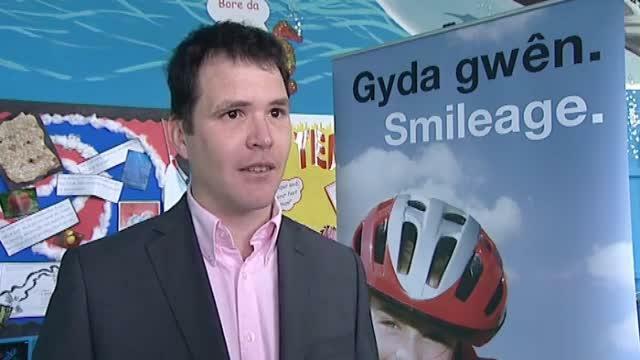 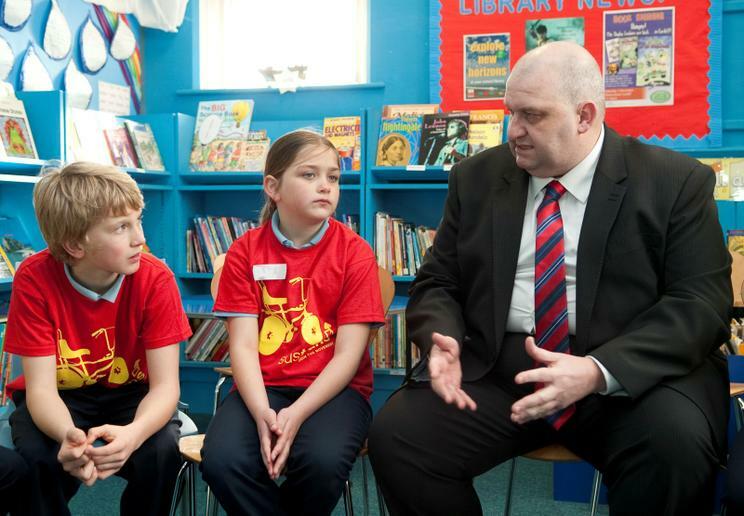 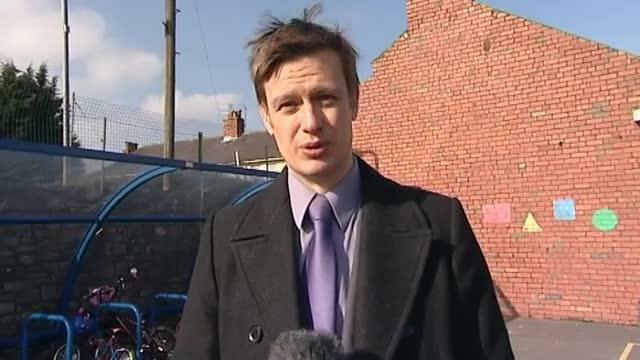 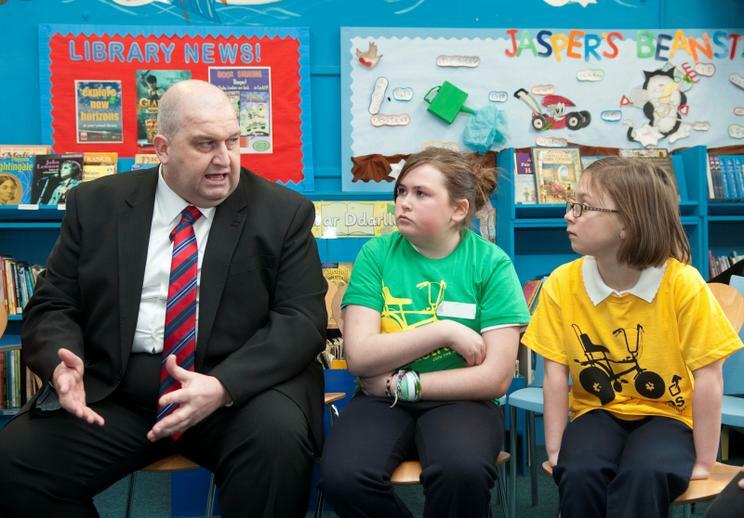 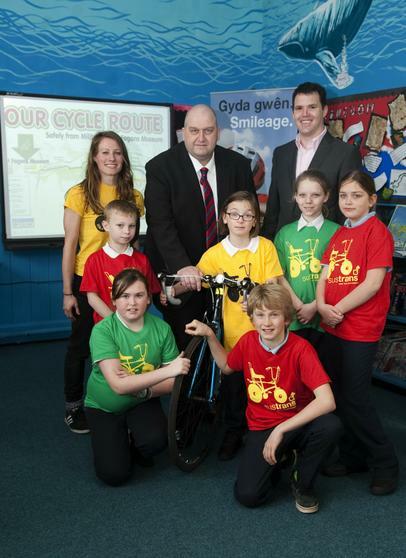 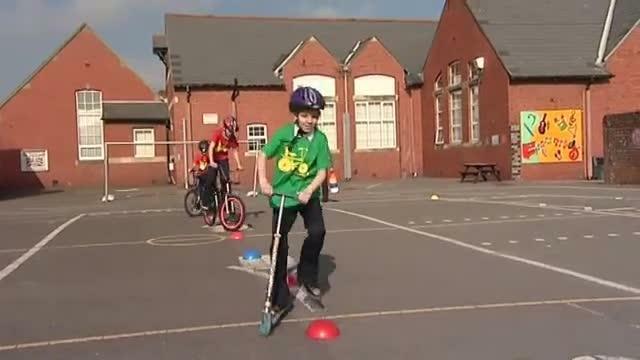 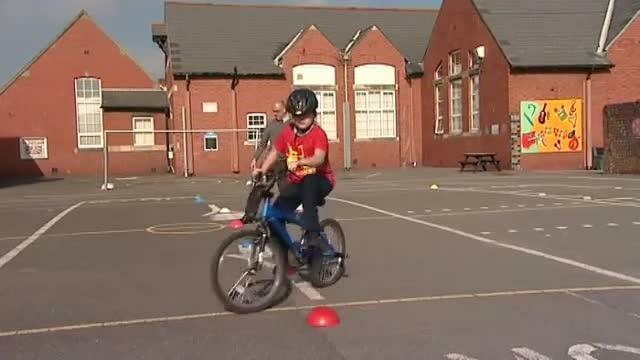 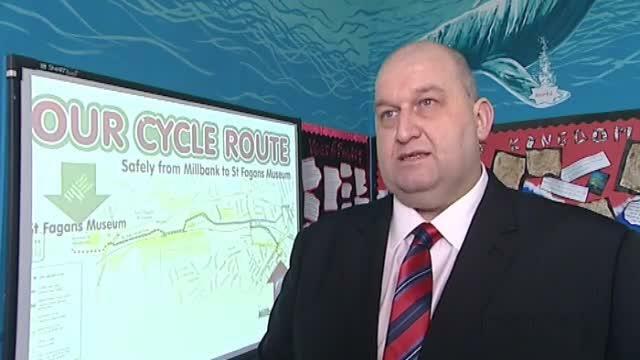 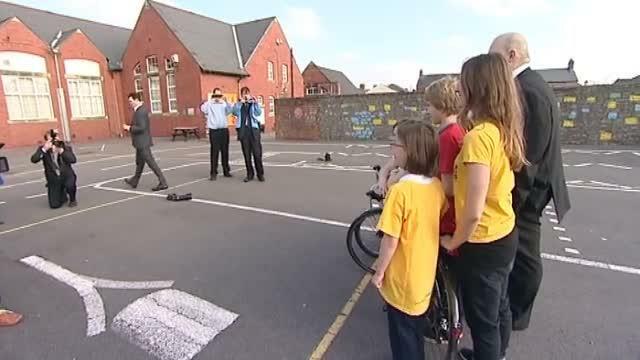 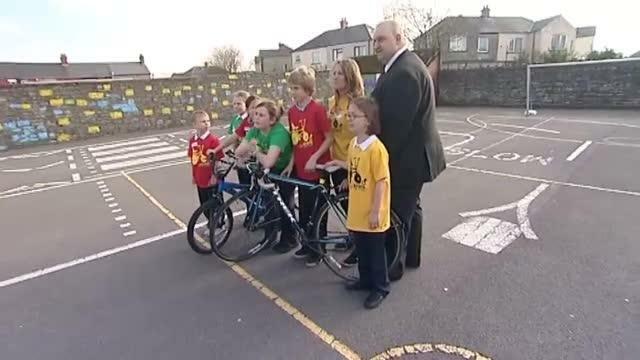 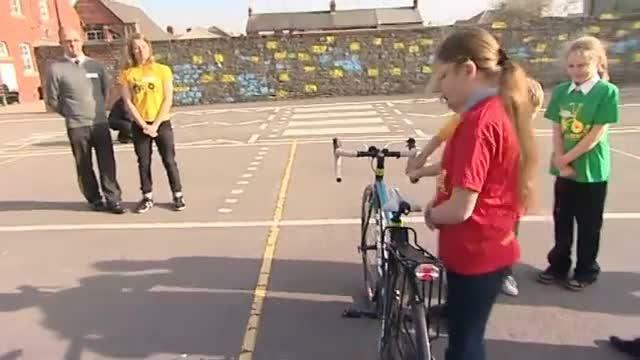 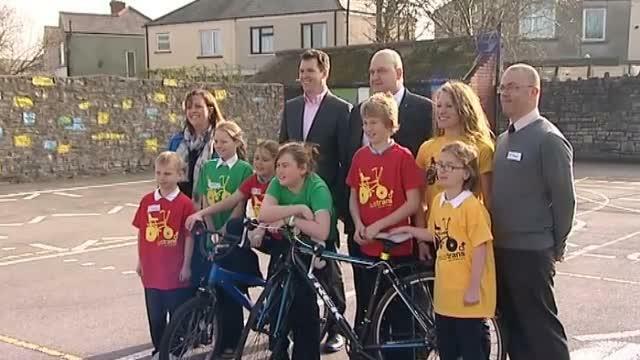 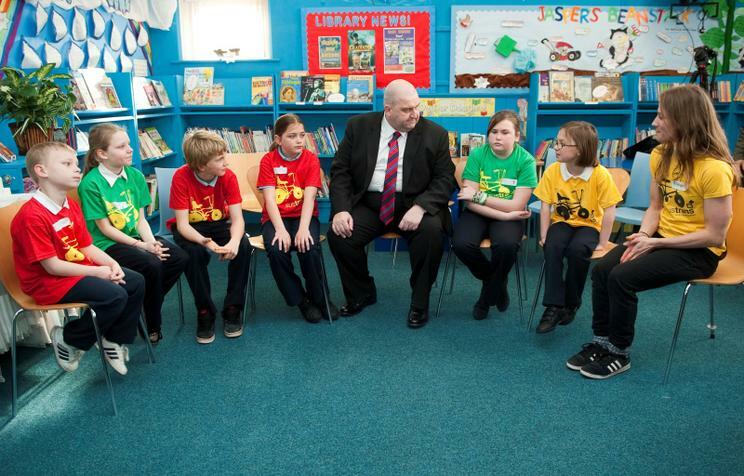 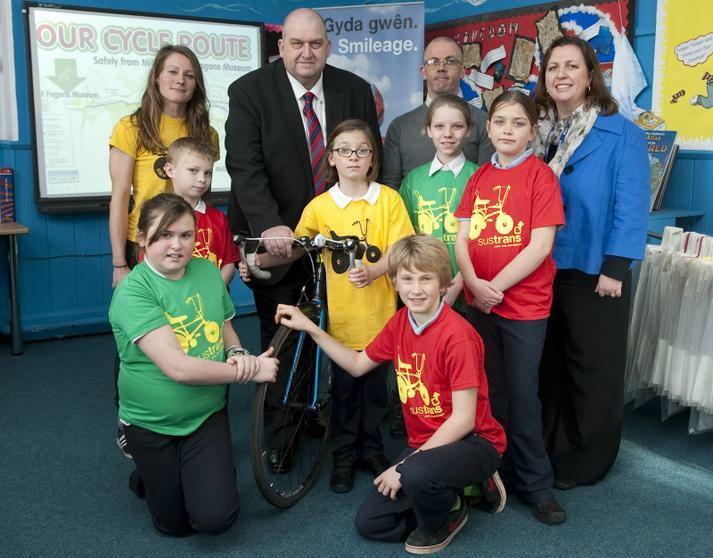 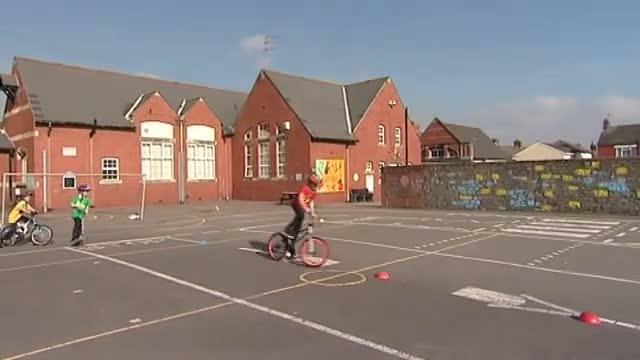 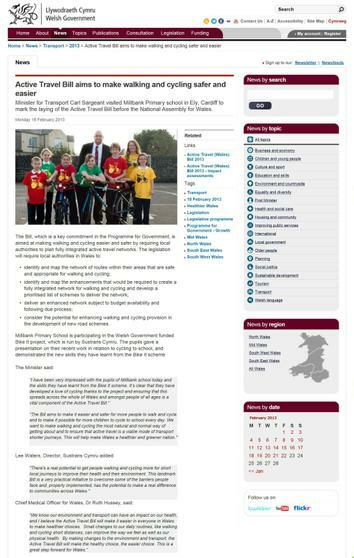 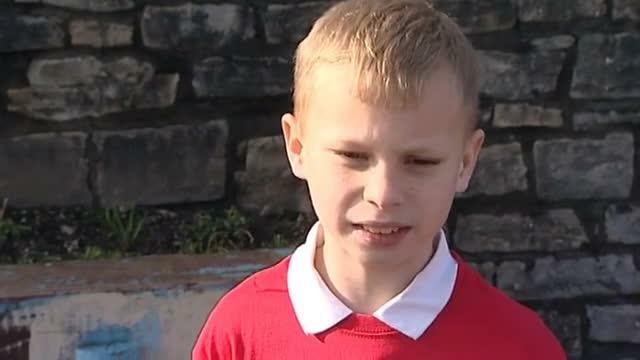 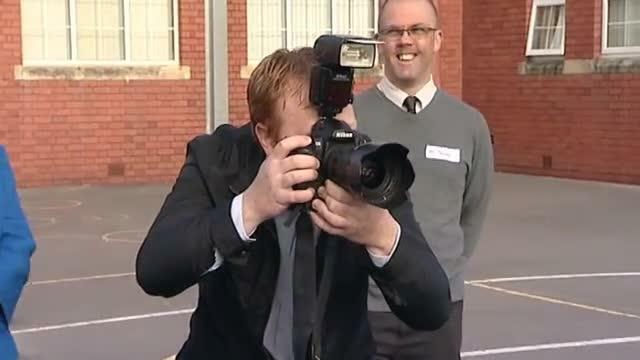 We made the ITV Wales news on Monday the 18th Feb. Carl Sergeant AM, the Minister for Social Justice & Local Government in the Welsh Government, came to Millbank to listen to the children's presentation on planning a safe cycle route. 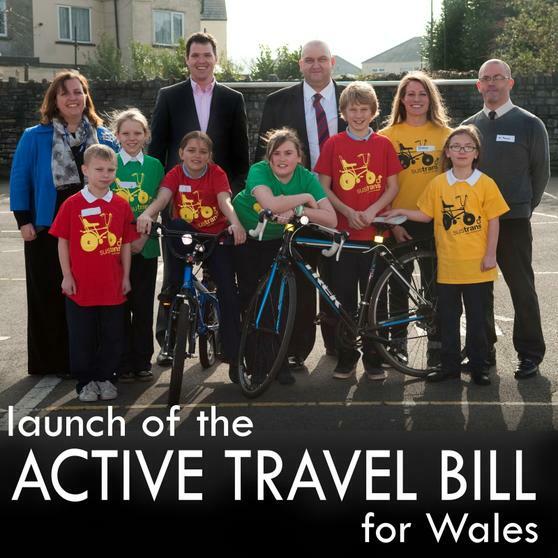 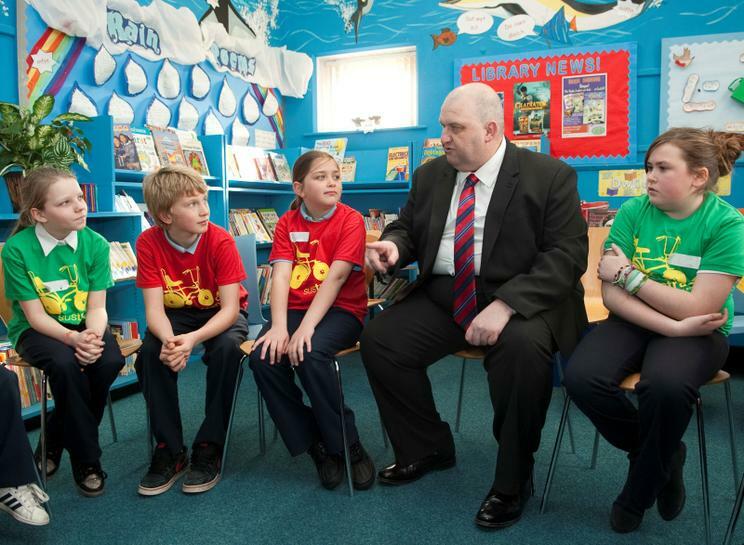 He was launching the Active Travel Bill. 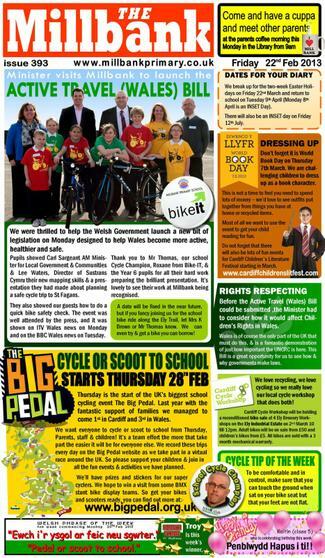 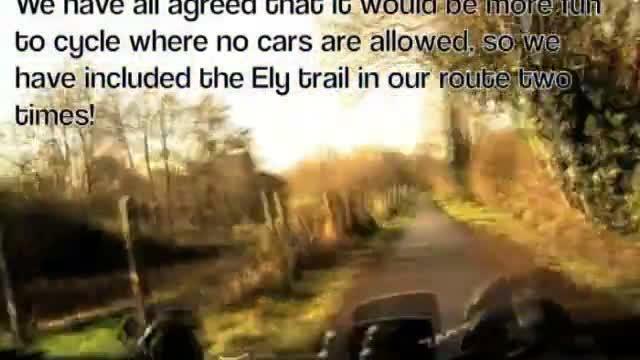 This is a Welsh Government bill aimed at making walking and cycling in Wales safer for everyone. 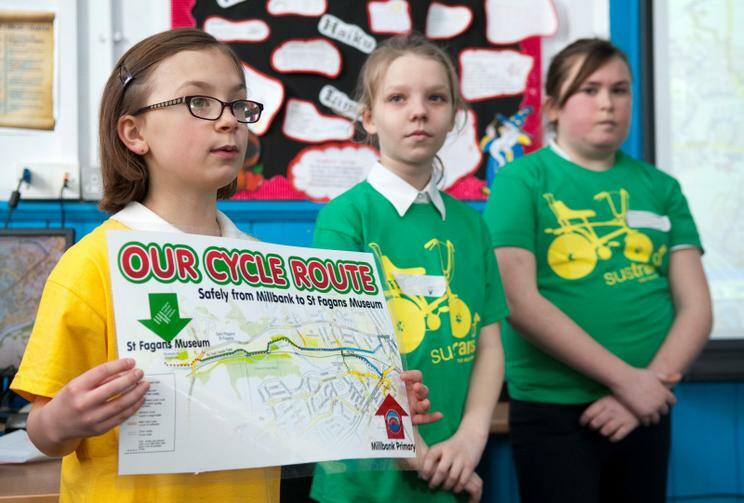 Encouraging people to walk and cycle in an attempt to reduce CO2 emissions is part of our Eco-Code agreed by all the pupils and staff every year at Millbank. 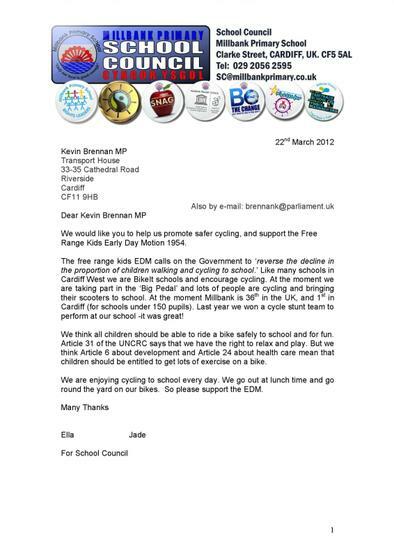 We are thrilled that this Bill will enable the whole country to take better part in this aim. 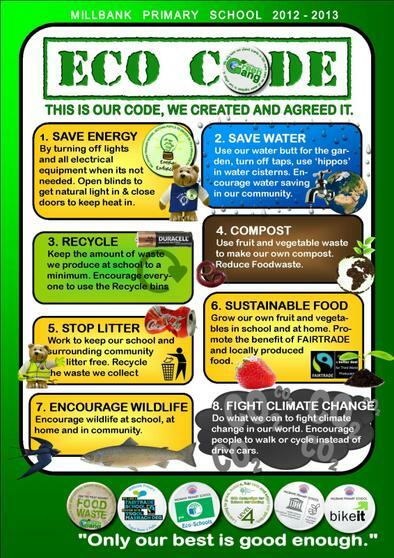 Good for us, good for Wales and good for our planet. 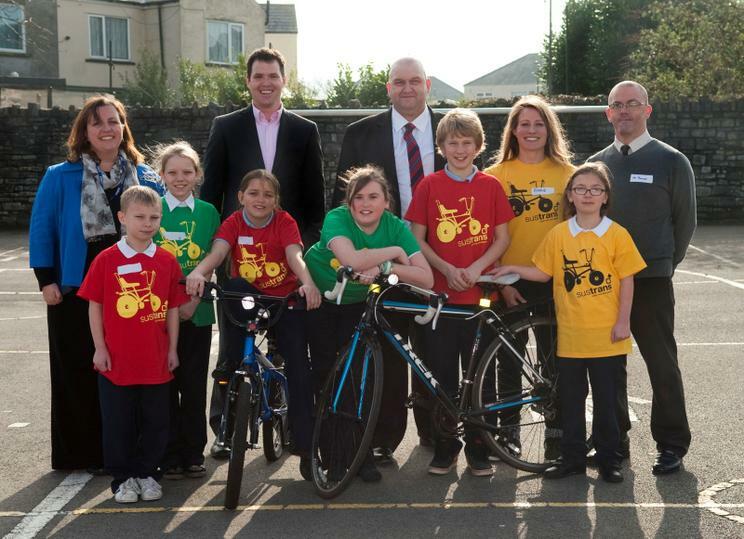 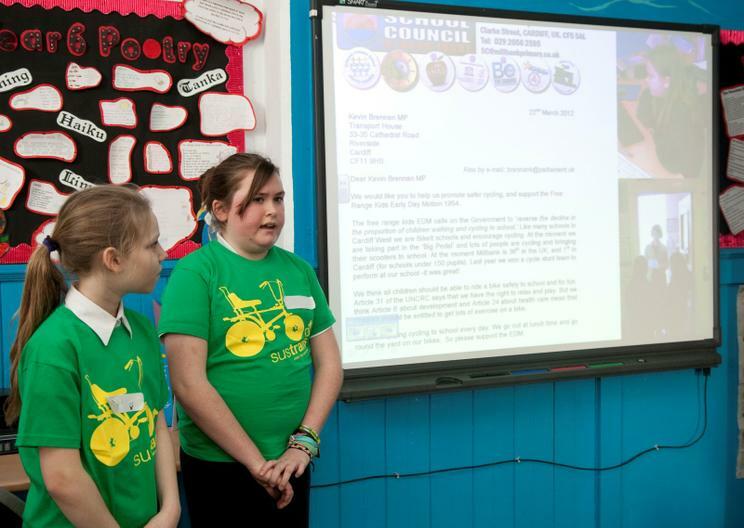 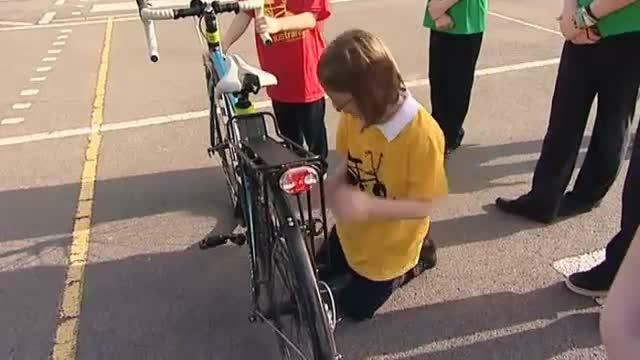 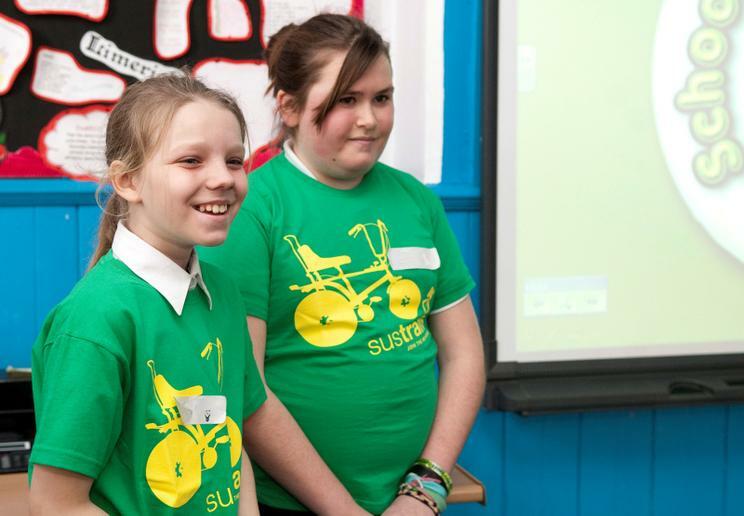 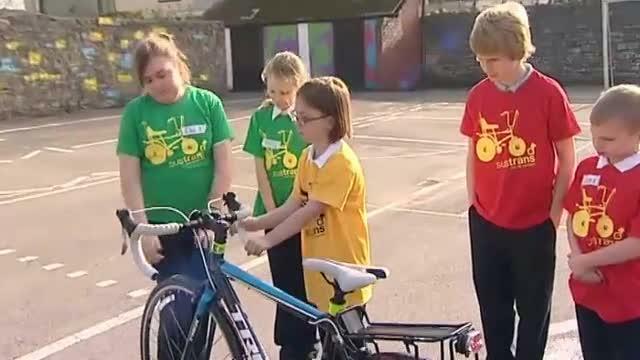 Many thanks to Roxanne for Sustrans for here help and support, we are very proud to be a BikeIt school.